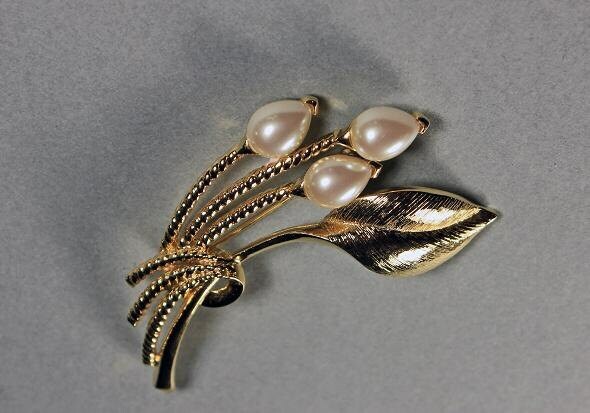 This is a beautiful gold tone faux pearl brooch. 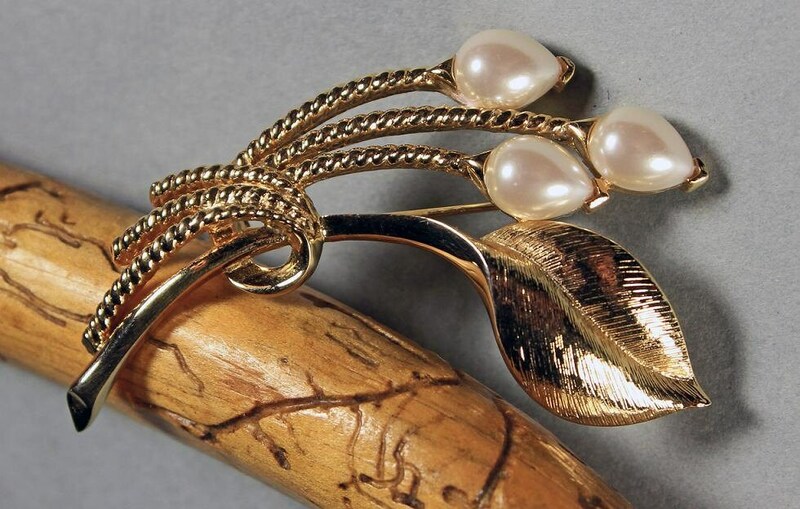 The brooch has 3 faux pearls at the ends of 3 gold stems that wrap around a leaf. It has a locking c-clasp closure. 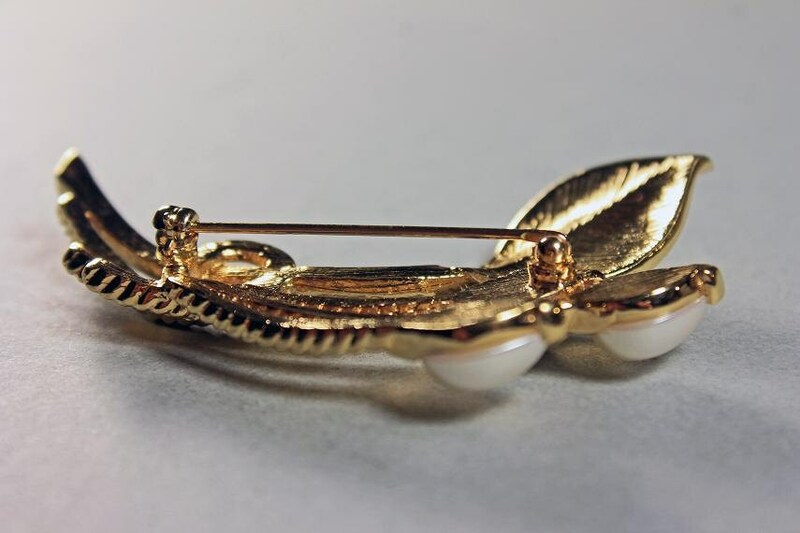 It could be attached to a cardigan or lapel, used to close a sweater or scarf, or on the center of a garment’s neckline. This is in excellent condition. 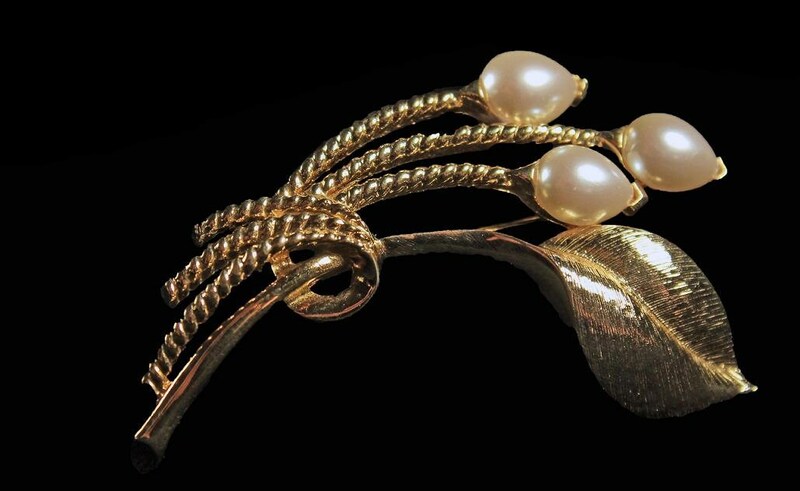 The gold is shiny and bright and the faux pearls have no nicks or scratches. 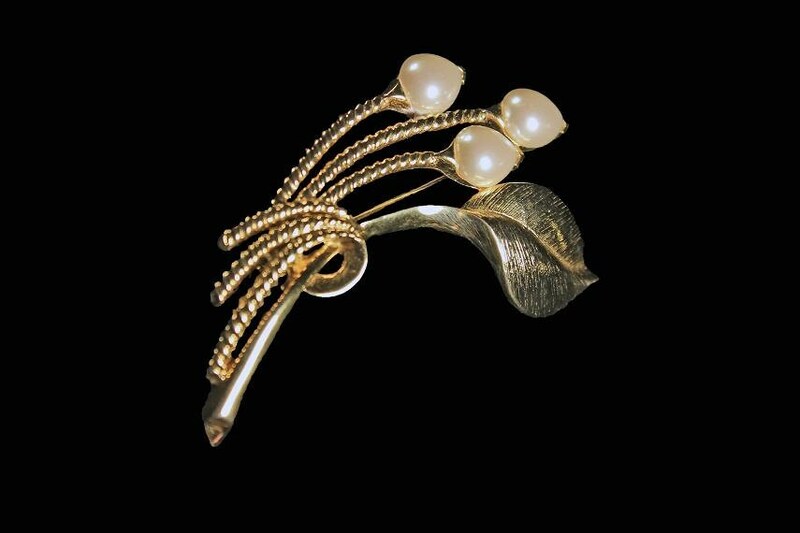 A really lovely piece.